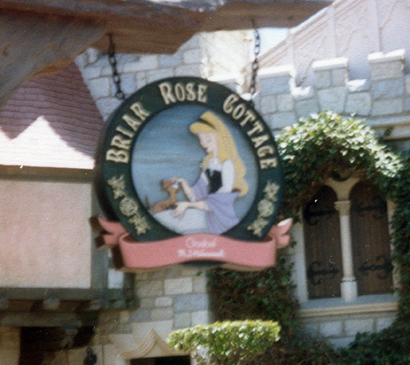 On May 29, 1987, the shop Briar Rose Cottage opened in Disneyland’s Fantasyland. The store replaced Mickey’s Christmas Chalet, and specialized in Disney figures and specialty merchandise. It closed on July 15, 1991, and was replaced by the Disney Villains store. Posted in Uncategorized and tagged 1980s, Closed, Disney Park, Disneyland Park, Merchandise, Shopping. Bookmark the permalink.